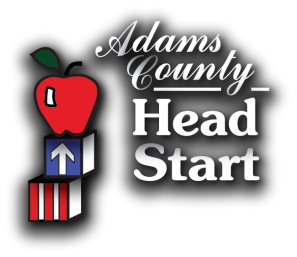 Adams County Head Start firmly believes that the social-emotional well-being and mental health of each child and family, is critical to lifelong success in education and in life. Staff will work with families to address concerns in the areas of social-emotional development, behavioral concerns, and mental health. Head Start staff will ask for information from the family regarding observations, concerns, and information about your child’s mental health. We will share classroom observations, appropriate responses to behaviors, and ways to strengthen nurturing, supportive environments and relationships in the home and at school. Each classroom is visited at least once per program year by a Mental Health Consultant. This consultant observes the classroom environment, classroom management, and interactions between teachers, between children, and between children and teachers. Additionally the Mental Health Consultant will talk with the classroom teachers about concerns regarding children’s behavior, interactions, and mental health. With parent/guardian permission, the consultant can observe and work with individual children and parents, in the classroom and/or in the home. Occasionally, children and/or families require the services of outside mental health providers. Staff can facilitate a referral to these agencies for evaluation and treatment if necessary. If you have any questions regarding the mental health of your child or a family member, you may talk to your child’s teacher or family engagement worker, or the Mental Health Coordinator. The Mental Health Coordinator can be reached at (717) 337-1337 ext 229.